as you might remember, in late august, we headed to the south of france for a bit of r&r. our itinerary took us from biarritz on the western coast of france all the way to marseille, with pit-stops in landes and languedoc, before heading back up to paris. 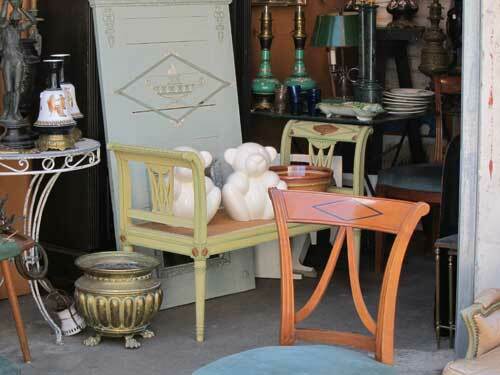 rummaging our way through brocantes is one of our favorite things to do in france. you never know when you’ll stumble upon a great vintage market, and you never know what you’ll find. (we like the brocabracs or vide-greniers sites for sniffing out brocantes in france). sometimes it’s a total bust, and sometimes it’s an overwhelming pirate’s bounty of vintage knicks, knacks, and curious goods galore! 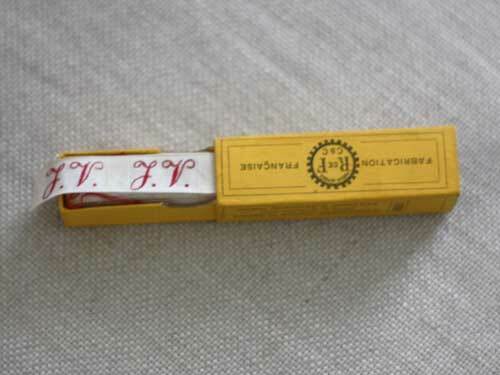 this time around, we found a spool of ribbon that literally had our initials carefully embroidered in rouge andrinople (or turkish red), dating from the 1920s! the dealer explained to us that bits of said ribbon had been sewn onto clothing and household linens to mark it as belonging to someone bearing such initials. we also picked up a bunch of vintage buttons still on their original card. some are from the early 1900s. some are from the depression era. some are from the 50s/60s. they are very well-made and a wonderful peek into the past. view our collection of vintage buttons here. 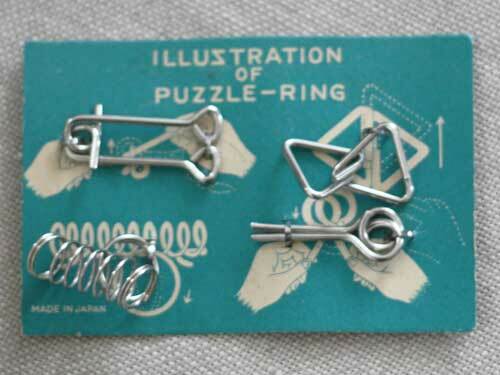 and in case you’re looking something for your fingers to fiddle with, we brought back these whimsical vintage disentanglement puzzle toys — made in japan but found in france! how’s that for a global product? makes for a great stocking stuffer too!